Last week I had an issue suddenly after updating Xamarin.Android and downloading the latest Android sdk 24. I looked online and all I found was answers which recommended to uninstall the app either through the Android settings or using adb uninstall <package name>, clean and rebuild but nothing did it. It was still crashing. AndroidRuntime: java.lang.RuntimeException: Unable to get provider mono.MonoRuntimeProvider: java.lang.RuntimeException: Unable to find application Mono.Android.Platform.ApiLevel_24 or Xamarin.Android.Platform! The problem was that my VM was running API 23, the app was configured to target API 23 but somehow, when the app ran it was looking for API 24 which caused it to crash. -t 500 would take the last 500 lines and *:E would filter the log with a priority of E: Error. Finally it will pipe it to a logs.txt. The problem was in the csproj file. AndroidUseLatestPlatformSdk was set to true which was forcing the app to look for the latest sdk and the latest sdk I installed was 24! After setting it to false all went well again. You can also set it from right click on project > Options > General > Target framework > Select your framework. Remember to use adb logcat to check the issue and make sure you are targeting the correct version of Android. Hope this post was helpful for you! As usual if you have any comments leave it here or hit me on Twitter @Kimserey_Lam. Kimserey, thank you so much for taking the time to blog this. I was having the same issue recently after upgrading my SDK's. Happy to hear that it helped! Thanks a lot, this happend at my work and no one has idea of whats on going on. 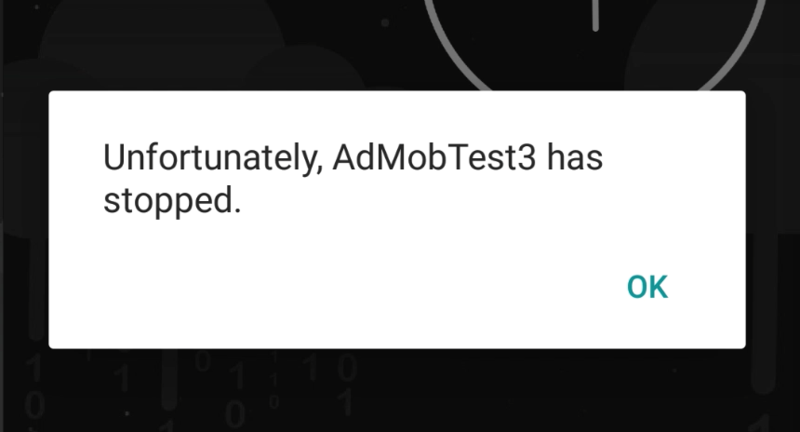 I was having the same error as soon as I would launch the app. It worked fine in the emulator, but instantly crashed on my real Android device. For me the fix was to make sure "Shared Runtime" in the Android project properties was not checked, as per this post: https://forums.xamarin.com/discussion/25780/unfortunately-app-name-has-stopped/ Thanks though!